[S117] Census - 6 Jun 1841, UK census, ED 9 HO107-459-18 Folio 9 p11 GSU Roll 306853. [S118] Census - 30 Mar 1851, UK census, ED 3b HO107-1618 Folio 367 p10-11 GSU roll 193519. [S312] Electronic Files - A Robinson, and subsequent correspondence. He was widowed on the death of his wife Elizabeth before 1861. [S871] FamilySearch, at https://familysearch.org/, FHL film 1736839, item 2 p173, Batch Number: C02357-5, England Births and Christenings, 1538-1975. [S190] Index - GRO and Office of National Statistics, England & Wales Civil Registration Qtrly Indexes, Death: District of Hollingbourne, Vol 2a, p468, 2Q1885, aged 78. [S871] FamilySearch, at https://familysearch.org/, FHL film 1835449, ref 1 136 407, England, Marriages, 1538–1973. [S340] Census - 7 Apr 1861, UK census, ED 11 RG9-506 Folio 132 p9; GSU roll:542651. [S871] FamilySearch, at https://familysearch.org/, FHL film 1866562, item 1 p325, Batch No. I01114-2, England Marriages, 1538–1973. [S190] Index - GRO and Office of National Statistics, England & Wales Civil Registration Qtrly Indexes, Marriage: District of Maidstone, Vol 2a, p766, 4Q1861. [S367] Census - 2 Apr 1871, UK census, ED 11 RG10-948 Folio 137 p8 GSU roll 838716. [S116] Census - 3 Apr 1881, UK Census, ED 11 RG11-936 Folio 59 p11 GSU roll 1341223. [S190] Index - GRO and Office of National Statistics, England & Wales Civil Registration Qtrly Indexes, Birth: District of Hollingbourn, Vol 5, p255, 4Q1842, mother's maiden name MOZLEY. [S237] Family Tree - A Agnew, "James Robinson descendants." [S183] National Archives Film - Queensland BDM Indexes, Microfilm, Reg. No. 1916/009183. [S183] National Archives Film - Queensland BDM Indexes, Microfilm, Reg. No. 1912/005222. 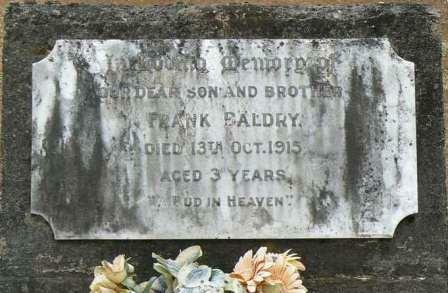 [S757] Australian Cemetery index database, at http://www.austcemindex.com, Eumundi Cemetery. [S190] Index - GRO and Office of National Statistics, England & Wales Civil Registration Qtrly Indexes, Birth: District of Plomesgate, Vol 4a, p886, 2Q1887, mother's maiden name ASHWELL. [S183] National Archives Film - Queensland BDM Indexes, Microfilm, Reg. No. 1912/000349. [S488] Index - Queensland BDMs (online and fiche), at https://www.qld.gov.au/law/…, Death Reg. No. 1966/C513. [S183] National Archives Film - Queensland BDM Indexes, Microfilm, Reg. No. 1915/001282. [S489] Brisbane City Council Cemeteries database, at https://graves.brisbane.qld.gov.au/, Grave 587, Portion 8. [S259] Census - 15 Apr 1910, US Census, Perth Amboy Ward 2, Middlesex, New Jersey, Roll T624-899, Page 1A, ED 27, image 88. [S251] Census - 1 Apr 1930, US Census, Greenwich, Fairfield, Connecticut, Roll T626-258, Page 9B, ED 127, image 51.0. [S423] Census - 1 Jun 1900, US Census, Baltimore Ward 15, Baltimore City (Independent City), Maryland, Roll T623 614, Page 14B, ED 190. [S250] Census - 1 Jun 1880, US Census, Baltimore, Baltimore, Maryland, Roll T9-501, Page 83.3000, ED 108, image 0346. [S423] Census - 1 Jun 1900, US Census, Baltimore Ward 15, Baltimore City (Independent City), Maryland Roll T623-614, Page 14B, ED 190.